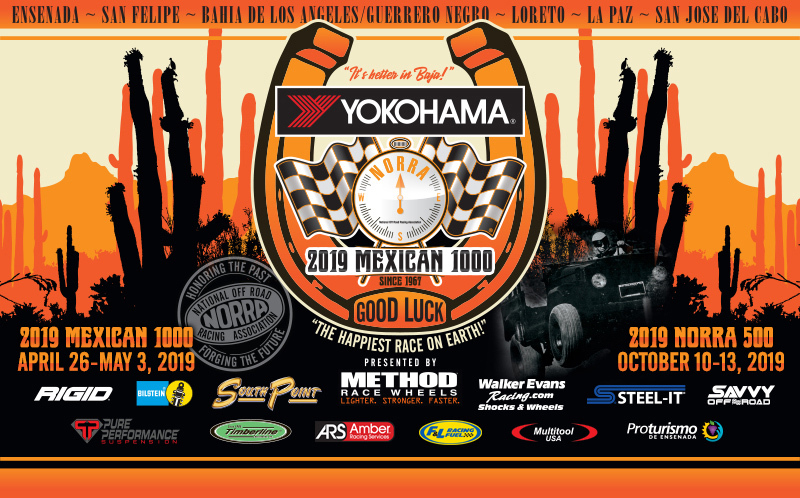 NORRA: Yokohama NORRA Mexican 1000 RALLY ALERT! Chase Crews Must Register ALL Vehicles & Equipment Crossing The Border. Agua Dulce, Calif Attention NORRA racers! Mexican officials have asked NORRA and its racers to properly fill out the border crossing information and supply it by no later than midnight, April 15, 2019. The Customs Department has asked us to provide vehicle information regarding team vehicles crossing the border. We do not capture this information during registration as it does not pertain to your entry. It is in your best interest to make sure all your team’s information is included and on the official list so that your crossing into Mexico for the NORRA race is as smooth and expedited as possible. We have added a link to the NORRA registration page to add 'non-race' vehicles. This may be the truck and trailer being used to transport your race car. This may be your chase truck(s). If it is carrying race related equipment - add it. You do not need to include your race vehicle unless it is street legal and you are driving it across the border. Drivers and Co-Drivers: Log into the NORRA account created to register for the event as either a driver or co-driver. For Chase and Crew that do not have accounts - create one. The first line item that you will see says 'Mexican Customs'. YOU ONLY NEED TO KNOW THE YEAR/MAKE/MODEL/LICENSE PLATE OF YOUR TRUCK AND TRAILER. This is an opportunity and convenience that will drastically improve the crossing vehicles on their way to NORRA registration. Please follow the rules below. Please make sure that everyone in your party has passports or passport cards. Everyone transitioning from Baja Norte to Baja Sur will also need tourist visas, which can be processed at NORRA registration. 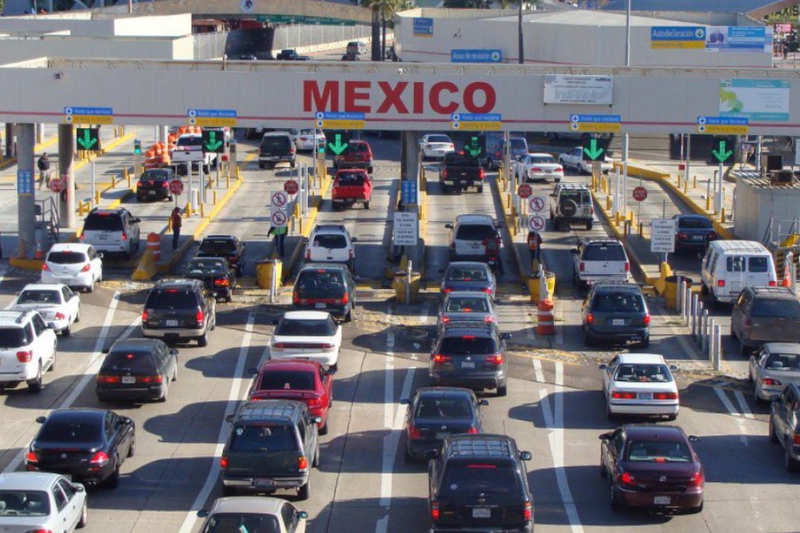 All NORRA Baja border crossings are to be conducted at the San Ysidro/Tijuana "El Chaparral" border. All NORRA racers to conduct Baja border crossings in Lane #2. All race teams and support vehicles should have a NORRA sticker on the windshield or visible, printed, NORRA logo on the dashboard. Mexico Customs will be in charge of receiving racers through the border crossing. Proof of ownership, green sticker, invoice or DMV paperwork. If the owner of race car or support vehicle is not present during crossing, driver must show photocopy of owner’s ID along with paperwork. Have a list (and invoices) of all major spare parts (engine, transmission, wheel/tires). They must match the race car. For example, if the race car has an 8-cylinder engine and the chase truck has a spare 4-cylinder engine, it will not be allowed thru the Border duty free and you must pay taxes for those parts. Only four (4) spare tires per race or chase truck are allowed maximum duty free. All spare tires must match race car tires and must be mounted on wheels. Any additional spare tires teams must pay taxes of 16% of tire value. Vehicles with race car spare parts must go across the border simultaneously with race the car. No chase truck with spare parts will be allowed through the Mexican border duty free on its own. Finally, No gas of any kind allowed through the border!